PORTLAND, Ore. (AP) — Ammon Bundy and his followers made ample use of social media and videos to summon armed recruits to join their takeover of a wildlife refuge and to declare their readiness to stand their ground. Now federal authorities are using the occupiers’ own words against them. Bundy and several other jailed leaders appeared Friday in federal court in Portland, where a judge denied their release. U.S. Magistrate Judge Stacie Beckerman said Bundy, his brother Ryan Bundy and Ryan Payne pose a danger to the community and she is concerned they would not follow orders to return to Oregon for criminal proceedings. 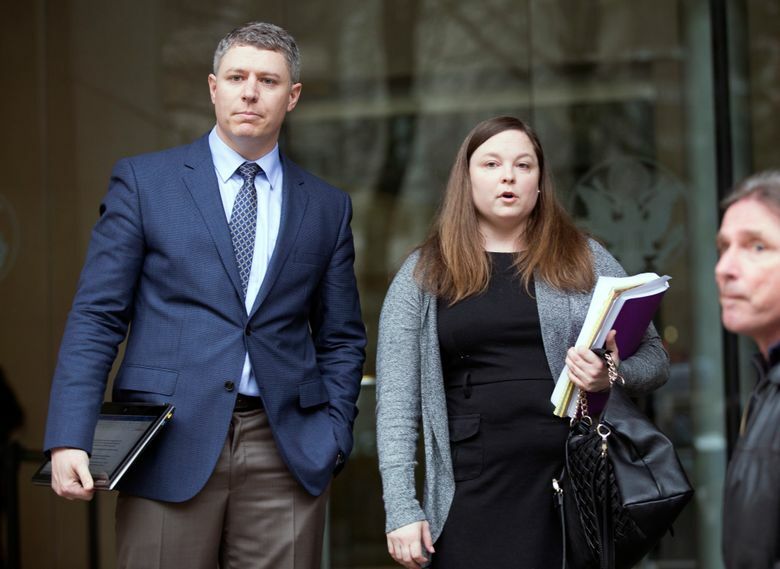 Ammon Bundy’s lawyer, Lissa Casey, said her client is not aligned with those remaining at the refuge and wants to go back to his family in Idaho. “He is done in Harney County; his message has been sent,” she said. Casey said Bundy didn’t recognize Fry’s name and that he was not a core member of the group. Bundy and his followers took over the refuge Jan. 2 to demand that the federal government turn public lands over to local control. They have complained about what they say are onerous federal rules governing grazing and mining rights across the West. “As the armed group’s unrepentant leader, he (Ammon Bundy) has consistently and publicly expressed support for an armed occupation that has endangered, and continues to endanger, many people,” the document states. In a video posted a day later, Ritzheimer talked about Robert “LaVoy” Finicum and other occupiers taking up a “defensive posture” at the refuge against a feared FBI raid. 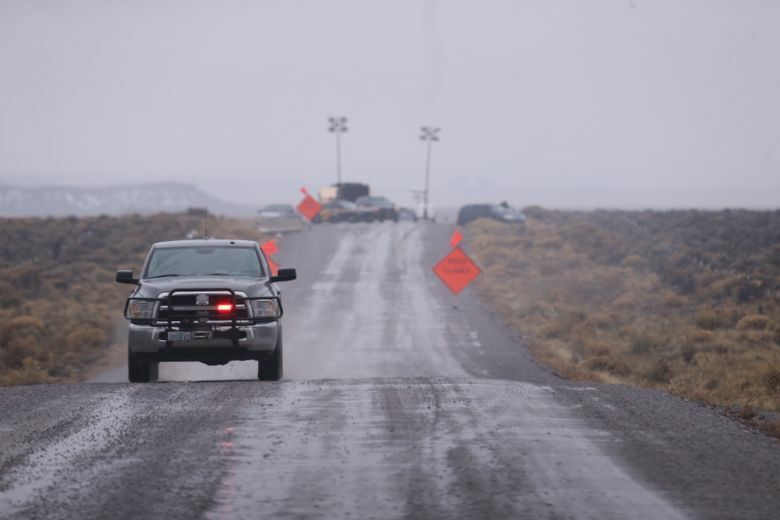 “Right now underneath the tarp right there — LaVoy Finicum is sitting underneath the tarp, and he’s not going to let them come through,” Ritzheimer said in the video. 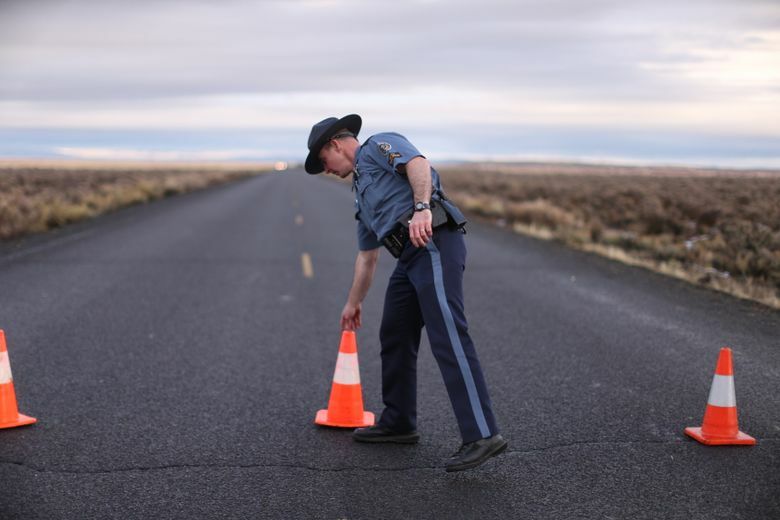 Finicum was killed Tuesday night in a confrontation with the FBI and Oregon State Police on a remote road. Bundy and four others were arrested during the encounter, and more followers were taken into custody by the next day. 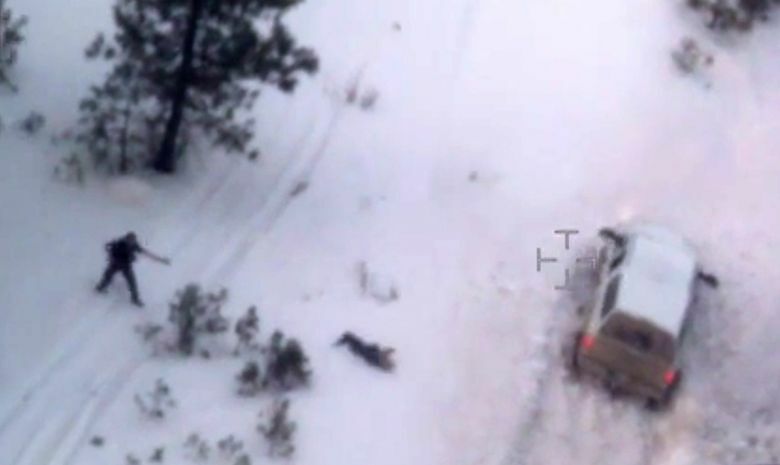 The FBI on Thursday released a video showing Finicum’s death, to counter claims he did nothing to provoke his killing. 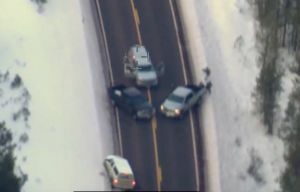 In the aerial video, Finicum is pulled over in his white truck but then takes off in the vehicle and plows into a snowbank because of a roadblock. He gets out of his truck and has his hands up at first, then reaches toward his jacket pocket at least twice. He is shot and falls to the snow. An undisclosed number of state troopers involved in the shooting have been placed on leave pending an investigation, which is standard procedure. The charges against the defendants say the refuge’s 16 employees have been prevented from reporting to work because of threats of violence. Bundy and his followers will be back in court next week.